Smallworld™ Business Integrator (SBI) is GE's solution for integrating Smallworld applications with SAP® and other Enterprise Asset Management (EAM) systems. It features a comprehensive toolset for integration with SAP and external systems using industry standards, and has been awarded the SAP Powered by NetWeaver® certification. 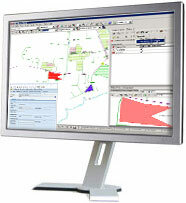 Integrating the powerful geospatial network modeling of Smallworld with the asset and work management capabilities of EAM systems allows organizations to integrate workflows and remove duplicate data entry. The integrated systems support key business processes including customer service, asset and network management, service and inspection, network extension planning, and network analysis and optimization. SBI's functionality dramatically reduces the time to build, deploy and test advanced integrations. Smallworld Business Integrator provides three modules that can be used individually or combined to build advanced integrations. Smallworld Business Integrator for use with SAP Software provides fast, bidirectional synchronization between SAP and Smallworld using SAP standard Java and XML technology. This module is designed for applications using Smallworld alternative based version management. Smallworld Business Integrator for use with SAP NetWeaver provides business workflow support via web-based integration with SAP using SAP Process Integration (PI) as the service bus technology. It includes a reference integration linking with SAP Plant Maintenance technical objects. This module is designed for applications using Smallworld Design Manager or Workflow manager, including the Smallworld Office suite. Smallworld Business Integrator for use with Enterprise Asset Management Services allows integration with systems other than SAP. It provides the same web services used by SBI for use with SAP NetWeaver with sample endpoints on an open source service bus, Apache ServiceMix. These can be used to demonstrate, configure and test interfaces as part of integration with other workflow based systems using web services deployed on Smallworld GeoSpatial Server. This module is designed for applications using Smallworld Design or Workflow manager, including Smallworld Office suite. Smallworld Business Integrator for use with SAP software has at its core a fast, direct synchronisation engine that works bi-directionally allowing updates in either SAP or Smallworld to be synchronised automatically to the other system. Its business object layer allows native Smallworld data models and their relationships to be represented as compound business objects that are mapped to SAP objects allowing existing databases to be synchronised without the need to modify their data model. A consistency checker is provided that detects differences in either system to be resolved by an SBI administrator to ensure smooth synchronization operation. For the end user, Single Sign On to both Smallworld and SAP systems is provided and navigation from Smallworld to SAP screens for a linked object is available as an editor function. Messaging standards supported are XML over HTTP and JCo Messaging. SAP ECC 6.0 EHP 4 or later is supported. Smallworld Business Integrator for use with SAP NetWeaver is a web service based solution that uses the service oriented architecture capabilities of Smallworld GeoSpatial Server to provide workflow based integration with Smallworld Design Manager and Workflow Manager applications. This module shares the same business objects capability as SBI for use with SAP software for handling complex Smallworld data models allowing asset information to be replicated on a project state transition in Smallworld or when changes are made in SAP and are then communicated to the Smallworld application. This module provides reference integration as SAP Process Integration (PI) scenarios that illustrate the linking of Smallworld object data with SAP Plant Maintenance (PM) technical objects as well as work orders and construction measures, designs and compatible units from the compatible unit extension to PM. Integrations to other SAP modules are supported by the capabilities of SAP PI. Smallworld Business Integrator for use with Enterprise Asset Management services is the module that provides standard web services for integrating Smallworld Design Manager and Workflow Manager applications with asset and work management systems. Detailed documentation on how to use and test the services using an open source service bus, Apache ServiceMix is provided. These services are combined to provide common design based integrations with external systems using a reference Design Manager state model.